It’s been about three weeks now since I last posted on Very Berry Cosmo. I guess I have been feeling a little bit low about blogging recently, pretty much falling out of love with it. I expressed my thoughts in my latest YouTube video – thank you for all the comments and lovely direct messages that I have received in regards to this! It also makes me feel sad that a lot of you feel the same too 🙁 BOO. was one of the things I said during this video, and I guess it is one of the quotes that has stuck with a few of you. It is meant to be fun, so why does it keep me up most nights? Worrying and worrying about getting my next piece of content out, to the point where no content goes out at all? Where the flip did all the pressure come from all of a sudden? Blogging has given me SO much. For one, I am far more confident in social situations, such as maybe meeting someone for the first time, or standing up and giving presentations. Secondly, I get to work with some AMAZING brands, heck… did you hear my latest news? I’m a flipping Boux Avenue Brand Ambassador! Thirdly… and this is kind of what this post is going to be about, the people I have met from blogging is 100% my favourite part. I’m currently living up North, whereas my hometown is down south in Gloucestershire. I was at the University of Leeds for 4 years, and now that little chapter of my life is over… I don’t actually know a HUGE amount of people up north. University friends have moved on, moved back to their hometowns, found new towns to explore and make new memories and adventures. I guess you could say I am quite lonely. I don’t know very many people up here, to the point that it makes me feel like I don’t really have any friends. The majority of people that I socialise with and tend to meet up with, are people that I met on the Internet. Am I ashamed of this? HELL NO. I even met Jordan on the Internet, and he is currently one of my favourite humans. The Alchemist is my favourite favourite cocktail bar ever. There are currently two in Leeds, two in Manchester, one in London, one in Birmingham and one in Liverpool, and let me tell you, I am sure they will be expanding even further, across the country FAST. 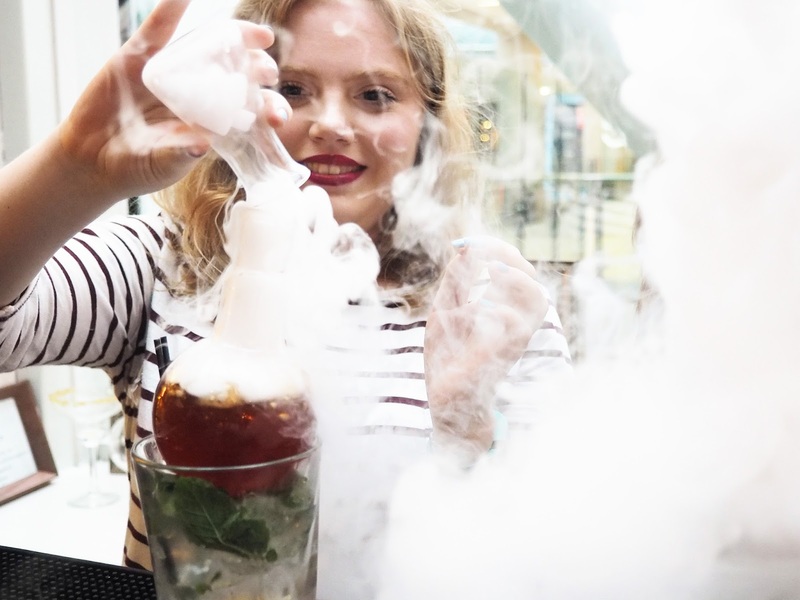 I love a lot of things about The Alchemist, first off – the drinks are one of a kind, and they are made in really exciting ways, definitely not just your traditional cocktail from this place! IT IS ALL SCIENCY. Not even a word, but roll with me here… Also, it is probably the most blogger friendly decor place I have ever seen, and what is not to love about that? The night began with a ‘Peaches and Cream’ cocktail, which was made by our lovely Masterclass host, Andy. I won’t lie, it was probably my favourite drink of the night, it went down far too easily, like squash! 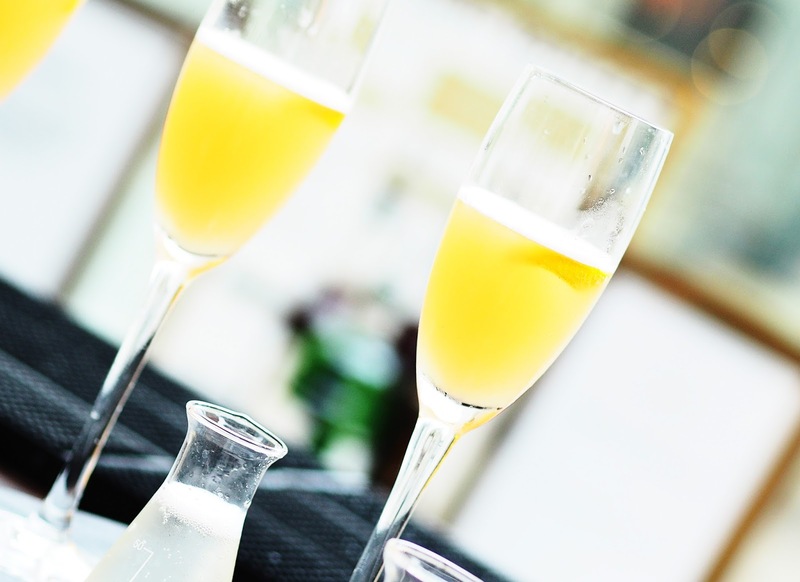 The drink is a new take on the classic bellini, featuring peach, pink grapefruit and lemon, and OF COURSE the prosecco bubbles! 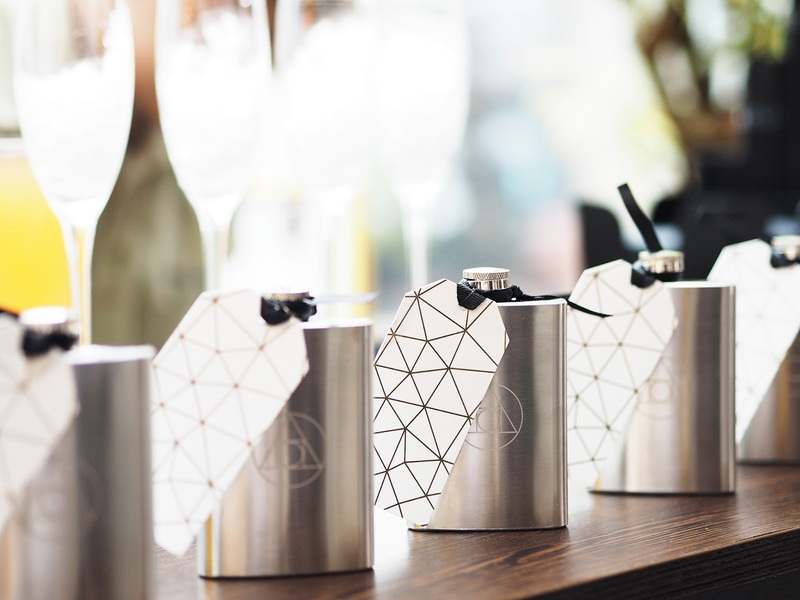 At the Alchemist it is all about the extra details, look how cute the prosecco looks in the little conical flask! Pouring it in and not letting it bubble over sure was an experience! 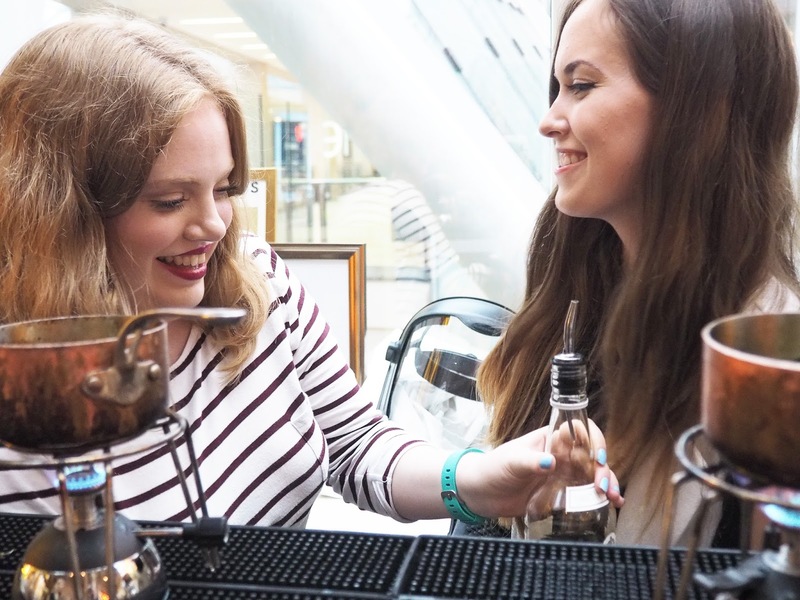 It turns out that I did in fact know three of the other lovely bloggers already that were attending the Masterclass, including one of my bestie bloggers, Maisie. She was my cocktail making partner for the evening and first up we made the ‘Key Lime Pie.’ This drink is relatively new on the menu, however I had actually already tried it before because I am Alchemist OBSESSED. It contains rum, coconut rum, apple juice, lime juice and ALL the vanilla meringue foam. It was then SENSIBLY decided that we should probably have some food……. trying their HOME-MADE truffle popcorn, aka trying anything truffle flavoured for the first time, I must say I felt Oh-so-sophisticated. 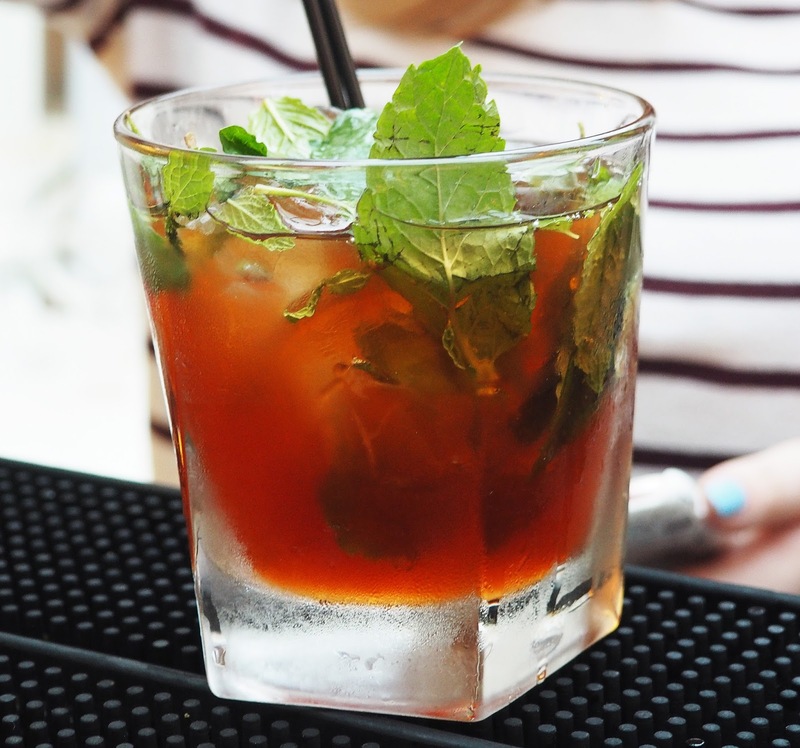 The second drink of the Masterclass was called ‘Lightbulb Moment’ and I must say… it was my favourite to make, even if it scared the life out of me. THE BUNSEN BURNERS CAME OUT. It was like being back at school, except it was fun, oh so much fun. Oh and there was dry ice and that’s kinda cool isn’t it. The first picture of this blog post is the drink in it’s ‘light bulb’ form. I was quite sceptical about the drink itself, because it contains ginger beer, and I can’t stand ginger, *ugh gingerbread* but it turns out I really enjoyed it. The gin and the Pimms must have concealed the flavour slightly! YAY BOOZE. The third drink of the night was called ‘Bounty’ and yes you guessed it, it was a coconut drink. I didn’t get any photos of this drink, and if I am honest I don’t really remember making it. That’s the thing when you make your own drinks… the measurements kind of go out the window and I think I made my drinks FAR too strong – opps! I think it was a Wednesday night too! Anyhow, Kayleigh, get to the whole point of this blog post.. I came away from the event feeling so good and so happy, and I swear it wasn’t just the booze talking. Making wonderful memories like these will be what I look back on and cherish. These days, I much prefer to spend my money on experiences rather than physical things, I feel the sentimental values hold a much stronger place in my heart, and overall happiness. I had SO much fun making my little cocktails with my bunsen burner, and watching all of the scientific magic happen before my eyes. Going to a cocktail bar is great and everything, but creating the drinks yourself is far more memorable and rewarding, all night you just want to be like HASHTAG I MADE THIS. I’d like the thank The Alchemist for inviting me to this absolutely brilliant event, I had SO much fun, and so many giggles with the amazing girls that were there, it really helped with my feeling of loneliness <3 You can book your own Cocktail Masterclass here – For £30 per person you receive the four drinks, and for £35 per person you receive the four drinks, as well as the platters of food. Anyhow, I think it is well worth the money considering the cocktails are around £7-£8 each on their own, and you get to make wonderful memories with your friends whilst making them! 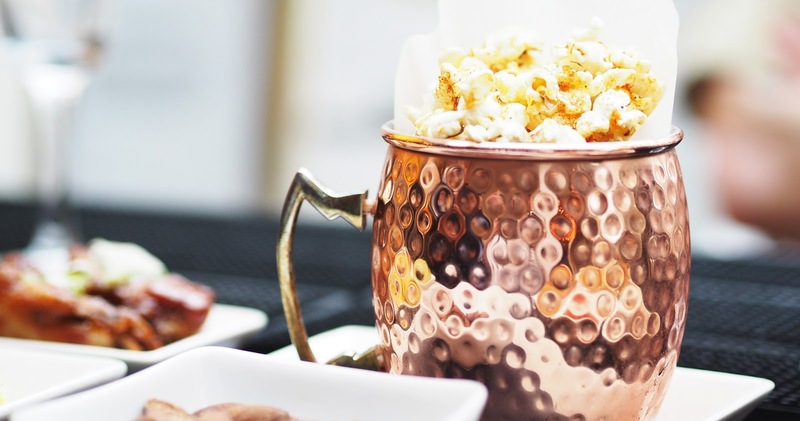 This isn’t your typical Cocktail Masterclass! I so want to do this, it looks like you had so much fun! 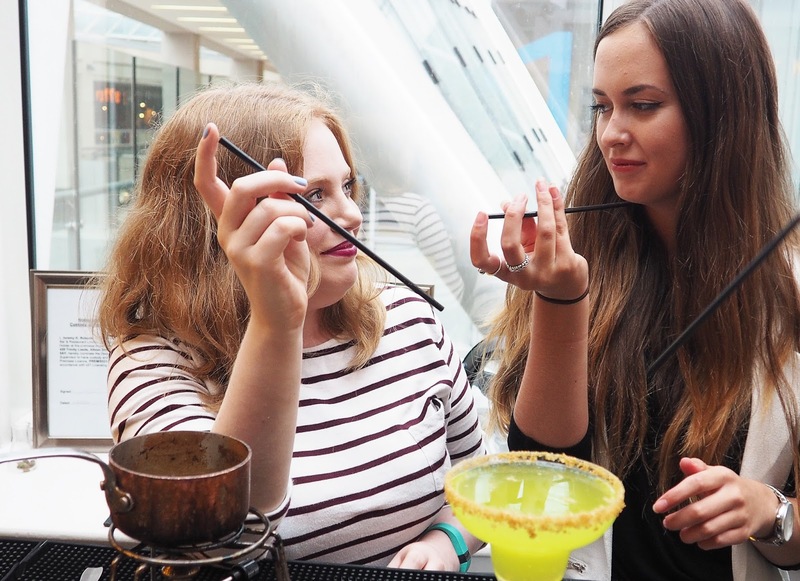 I've been to the one in Manchester and it was so good, their cocktails are amazing… my favourites were the colour changing one and the flavour changing one (how does it do that?) MAGIC!! Aww i love this! 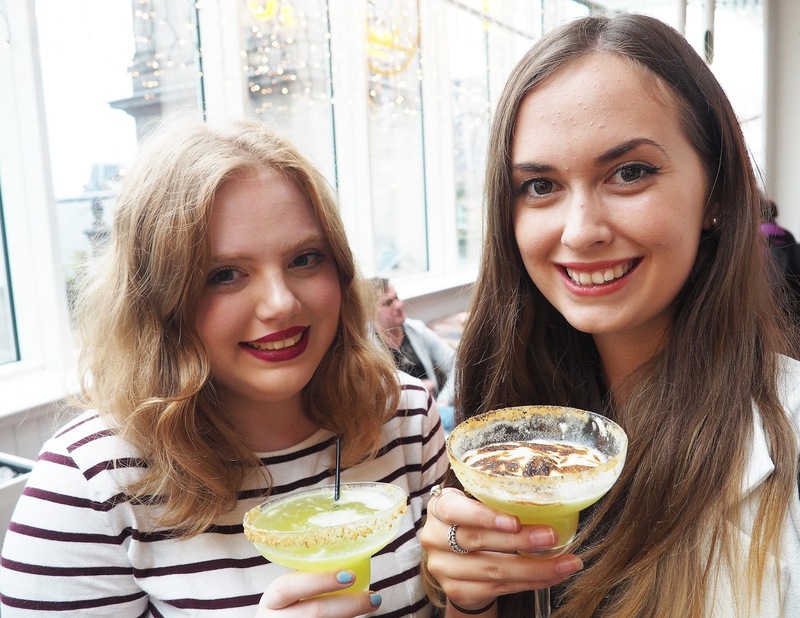 I was feeling out of touch with blogging due to Uni commitments but have been to a couple of events over the past few weeks and i always remember how much i love what blogging has done for me! This looks great fun! 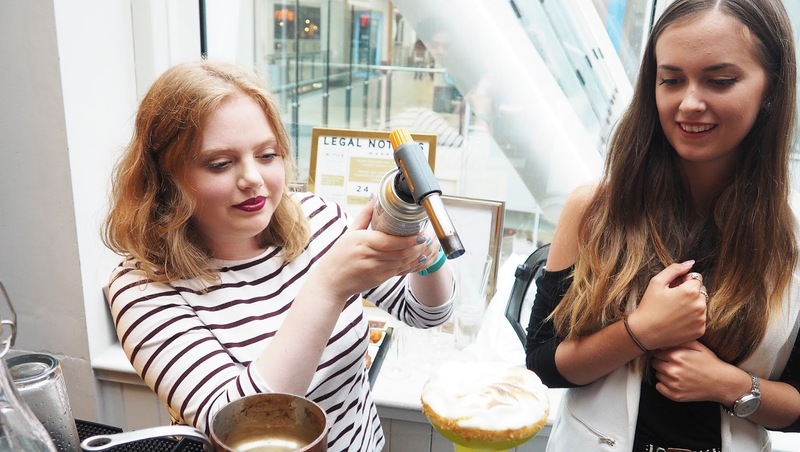 I love a good cocktail class, though not sure I'd trust myself with that blow torch! This looks like so much fun! OMG! I love the cocktails at this place! So tasty and so much fun!